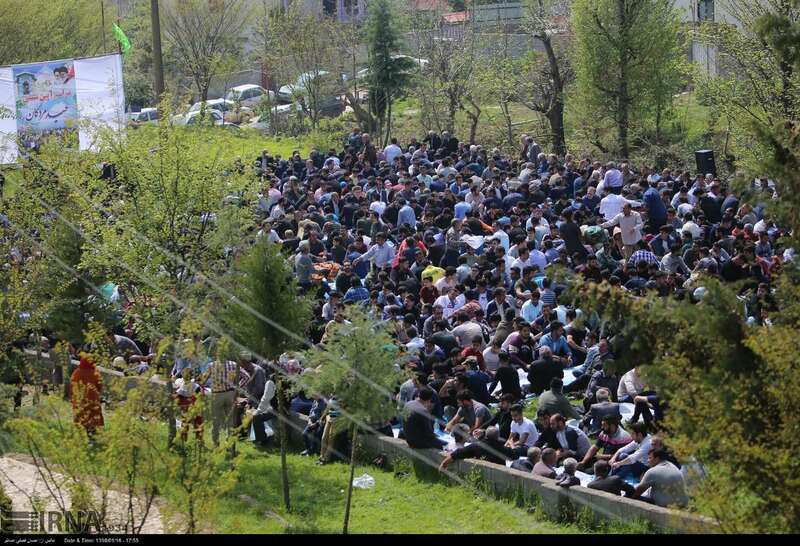 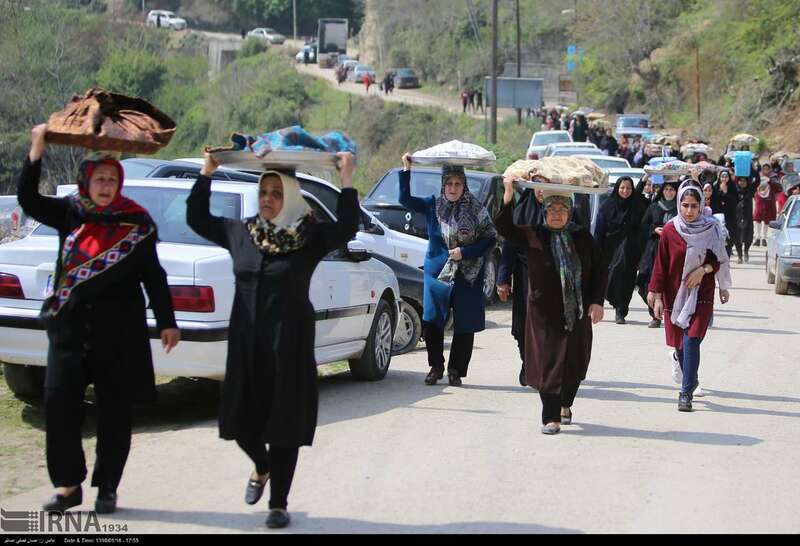 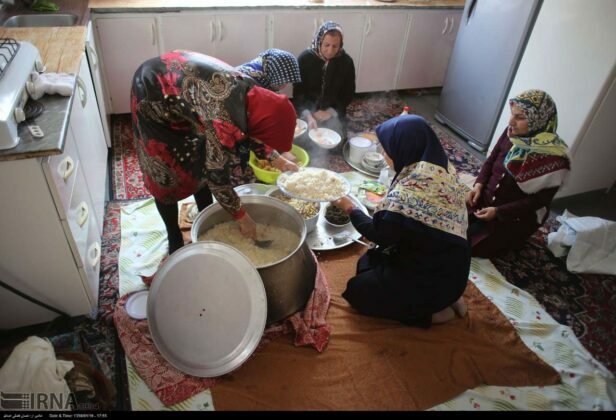 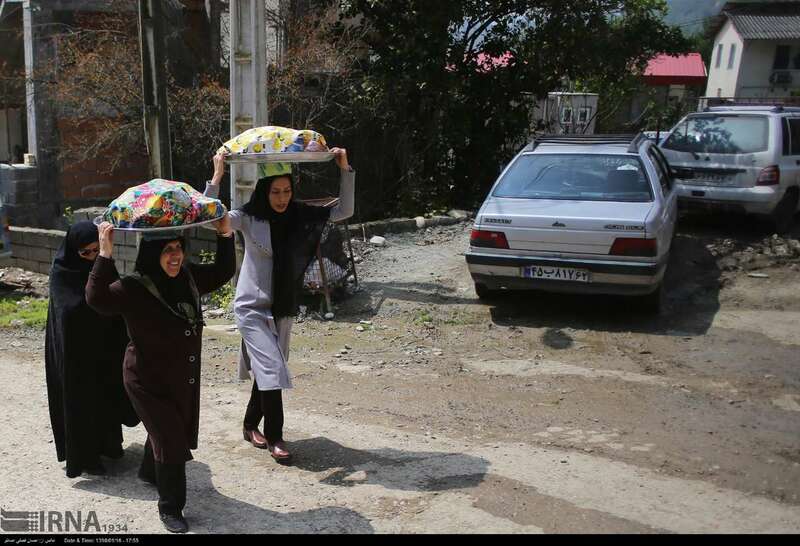 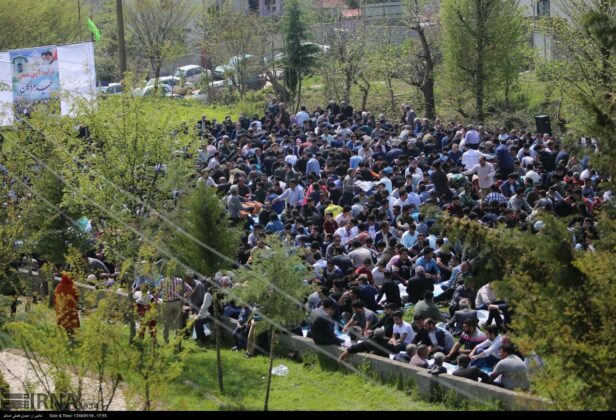 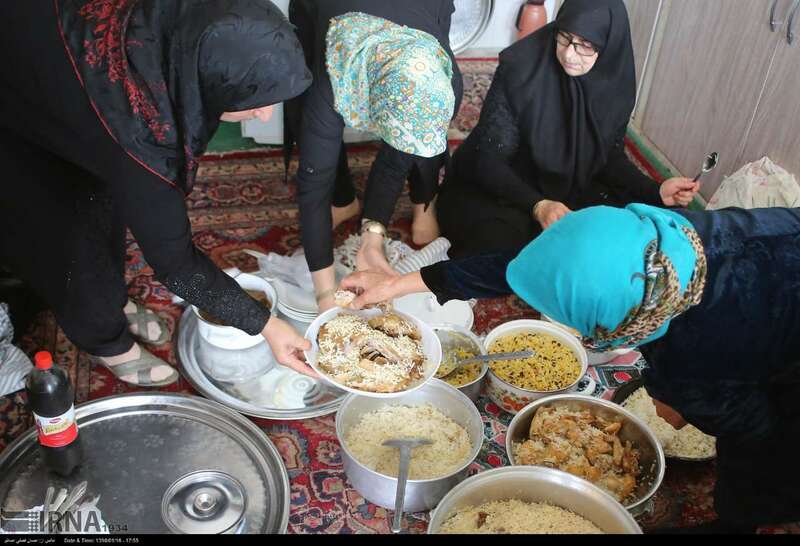 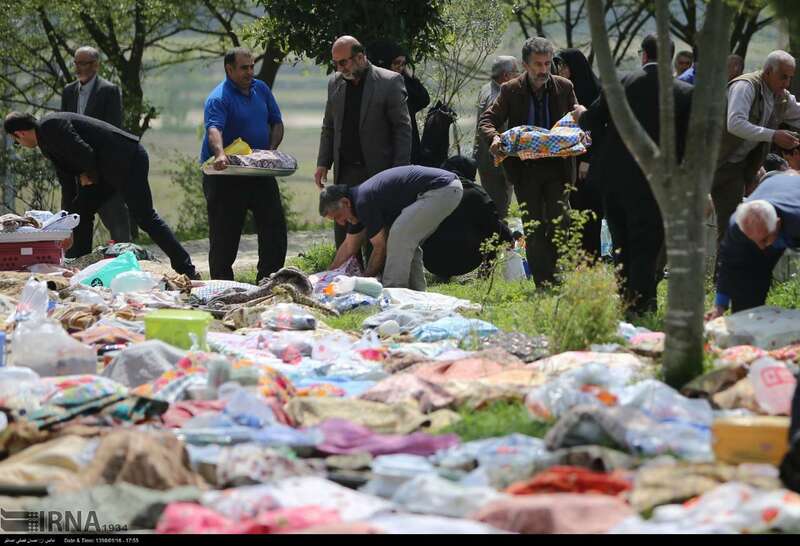 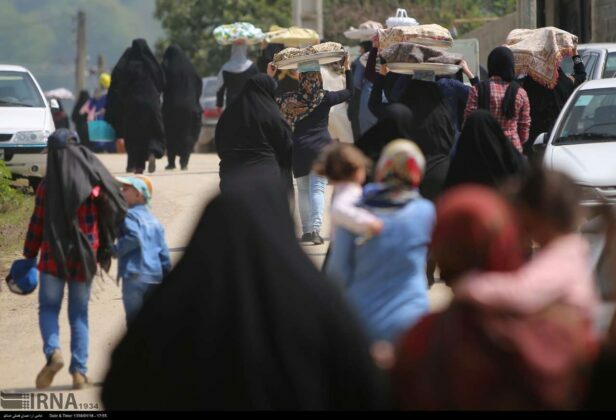 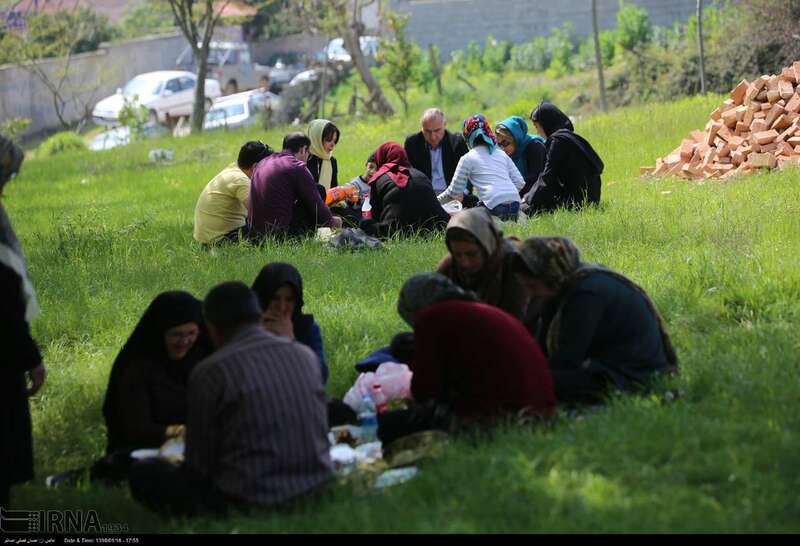 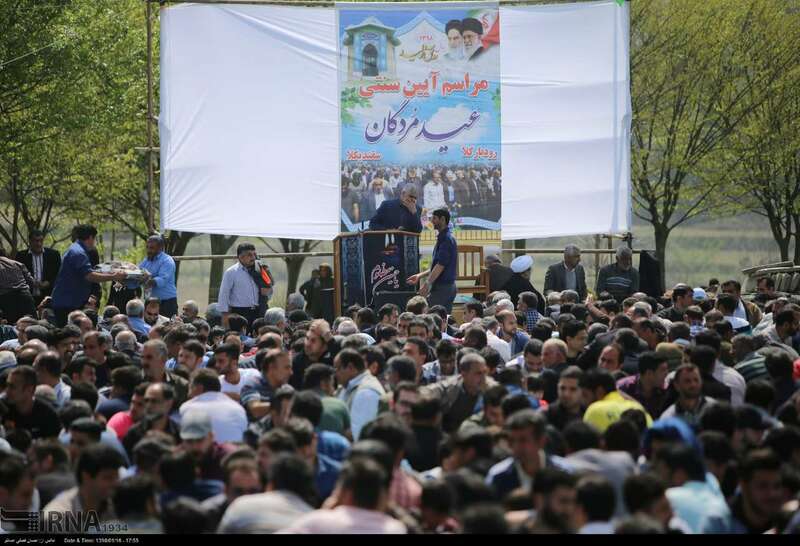 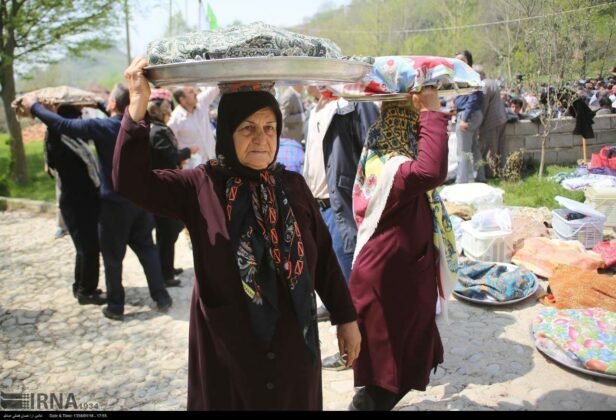 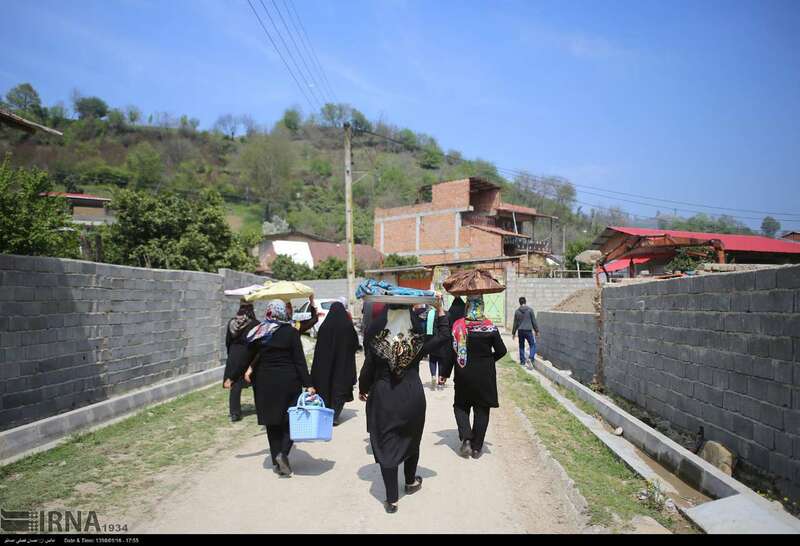 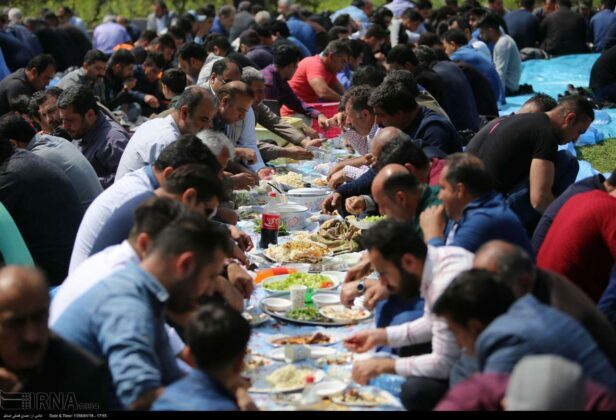 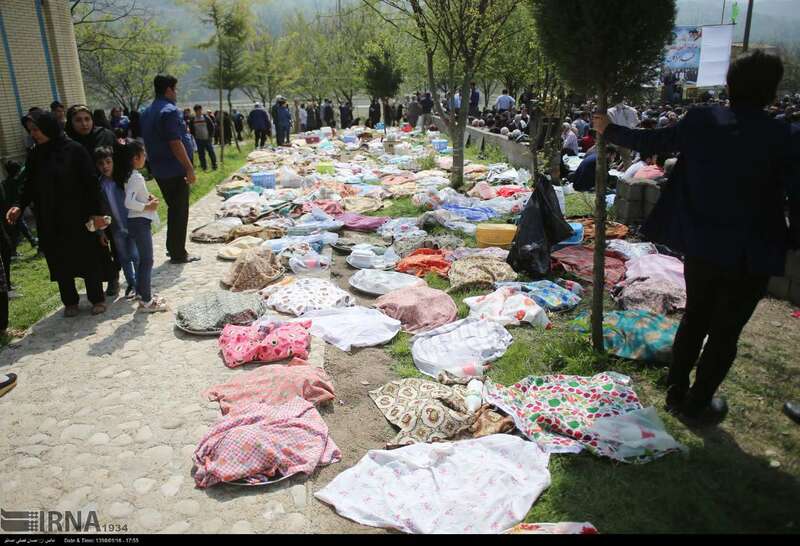 The ceremony of celebrating Nowruz with the Dead is held every year in the village of Saqandin Kola in Sari County of Mazandaran province on the first Friday after the 13th of Farvardin which is the first month of the year in Iranian calendar. 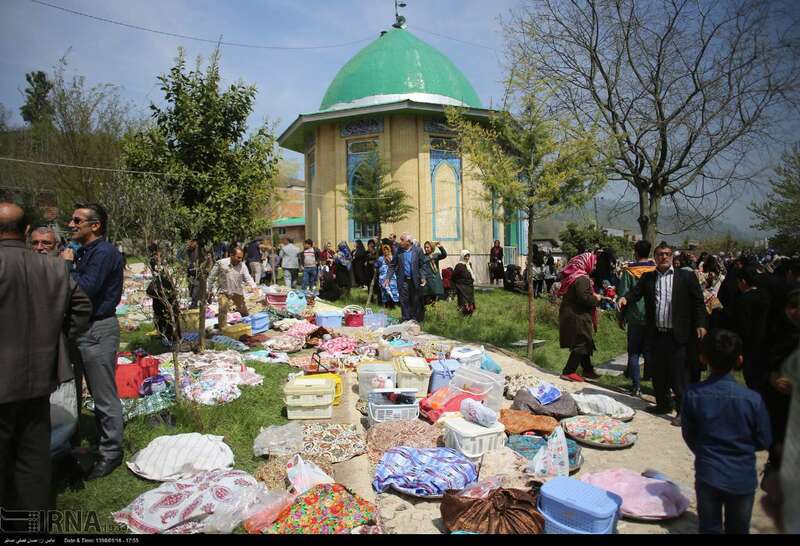 In this ritual, all the people of this village, even those who have emigrated, come to the local cemetery with flowers, sweets, and food. 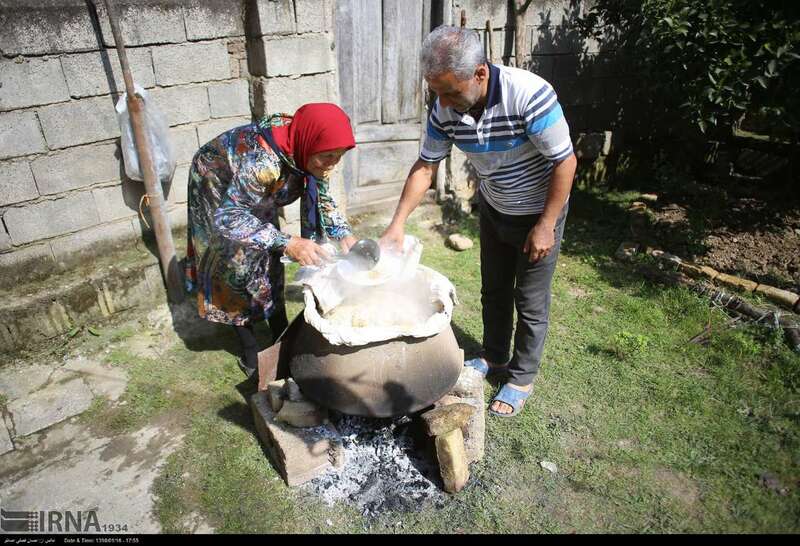 Villagers believe holding this ritual leads to prosperity in their lives. Local sources say the ceremony has been held in the village since almost 100 years ago.